Wearable wooden shoes are the origin of Klompenfabriek Nijhuis BV. Theo Nijhuis, the founder of Klompenfabriek Nijhuis started producing them in 1938. He produced about 12 pairs a day by hand and sold them in the direct region. Nowadays Klompenfabiek Nijhuis has grown up to an ultramodern factory and is worlds biggest Wooden shoe factory with a capacity of hundreds of thousands pairs a year. The wearable wooden shoes are produced out of high quality poplar wood and after the mechanic production they all become be finished by hand for optimum walking comfort. After all these steps the wearable wooden shoes become decorated with diverse decorations. For example the traditional decorations for the farmers till colorful typical Dutch decorations for the tourists. But off course also the just sanded wooden shoes with a beautiful natural look. 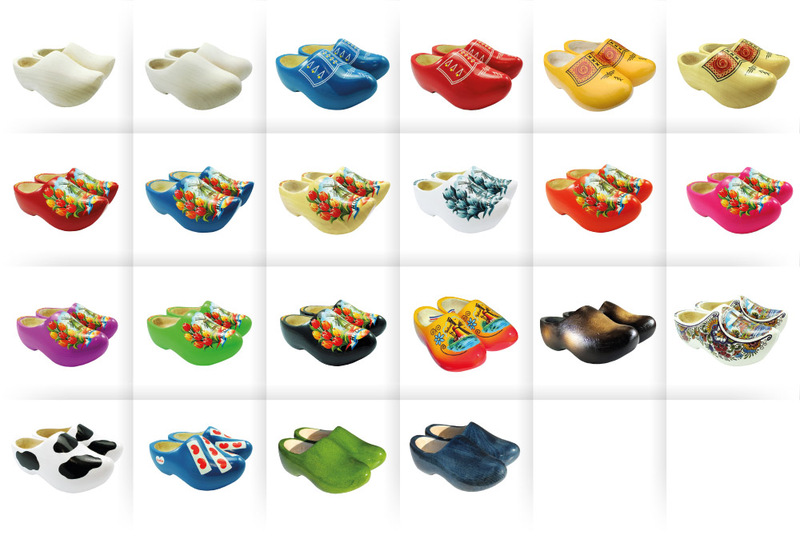 For our full assortment of wearable wooden shoes please see our product catalogue.